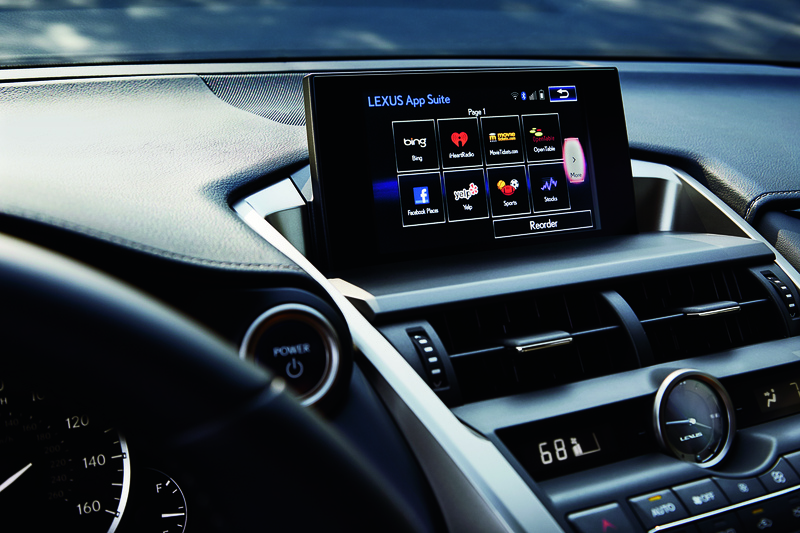 The available Lexus Enform App Suite* offers access to some of your favorite mobile applications through your vehicle’s center-console display. After downloading the app on your compatible smartphone, you can search local listings, stream music, listen to live radio nationwide, place restaurant reservations and buy movie tickets all from the driver’s seat. And, in select Lexus vehicles Advanced Voice Recognition makes accessing and controlling the App Suite’s features easier than ever. Search a continuously updated database of more than 16 million points of interest, get directions and call with the touch of a button using your vehicle’s voice command system. iHeartRadio offers access to more than 1,700 local radio stations from across the country as well as exclusive artist content. There is always something to listen to with iHeartRadio. Create personalized music stations and playlists using the names of bands or songs you love. Pandora can link up to your current account so to keep you connected and synced across devices and in your Lexus. One of the newest additions to the Lexus Enform App Suite, Slacker Radio offers over 300 stations of the world’s best music, talk and entertainment. Slacker Radio also introduces you to new, trending artists recommended by top professionals in the business. Check your local movie theater start times, purchase tickets, get directions and more! You can link up to your existing account or just browse movie titles and theater times while in your Lexus. Find nearby places to eat, shop, drink, relax or play. You can also check out reviews and get directions. Check-in at different locations the moment you arrive. To help you get the most out of your Lexus Enform system, our extensive library of instructional videos is now within arm’s reach. Great for foodies! Search for restaurants by cuisine, price range, table availability and more. Can’t remember the name of that great restaurant you went to last month? With Saved Destinations you get instant access to your destination folders, where you can browse through up to 200 of your recent destinations. Also available through the Lexus Enform App Suite is subscription-free data services for Sports, Stocks and Fuel Information. These complimentary services can be accessed through the Enform App Suite on the 2014 Lexus IS, CT and GX as well as on the 2015 ES, GS, LS, IS, CT, GX, NX, RC and RCF. Stop by North Park Lexus at Dominion for a personal demonstration of the Lexus Enform App Suite or contact us anytime if you have questions on how to use or activate this feature.